Over the years, Classical archaeology has evolved from a pastime of collectors and antiquarians to a mature science. 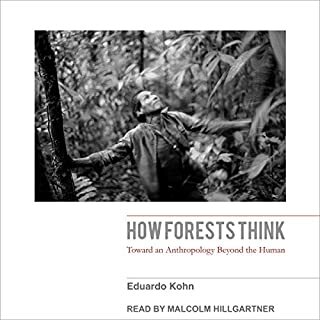 Today, the field is a multidisciplinary effort that involves not only traditional diggers, but also geologists, geographers, anthropologists, and linguists.These 36 lectures introduce you to this fascinating field of study. 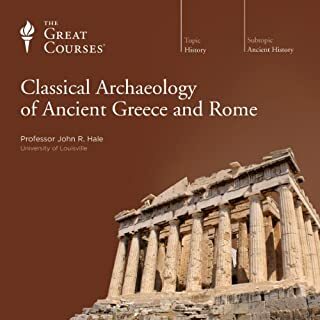 Professor Hale guides you through dozens of ancient sites with the skill of a born storyteller. This course is absolutely great in content and delivery. A wonderful journey. Would listen again. This book is fascinating, thoroughly enjoyed it and gleaned much knowledge. The reader, Malcolm Hillgartner, is the best in the business. In 1783, with the signing of the Peace of Paris, the American Revolution was complete. 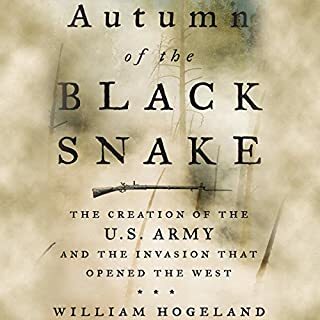 And yet even as the newly independent United States secured peace with Great Britain, it found itself losing an escalating military conflict on its borderlands. The enemy was the indigenous people of the Ohio Valley, who rightly saw the new nation as a threat to their existence. quite a lot of interesting information here ruined by rank amateur reader with no ability to enunciate or render the story properly. printed version the way to go in this case. Absolutely tedious and excruciatingly circular account of a subject that should be fascinating, full of lame metaphors and academically precious prattling. Hope there is another book on this subject that is palatable. 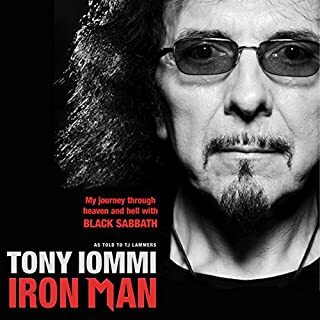 Iron Man chronicles the story of both pioneering guitarist Tony Iommi and legendary band Black Sabbath, dubbed "The Beatles of heavy metal" by Rolling Stone. Iron Man reveals the man behind the icon yet still captures Iommi's humor, intelligence, and warmth. He speaks honestly and unflinchingly about his rough-and-tumble childhood, the accident that almost ended his career, his failed marriages, personal tragedies, battles with addiction, bandmates, famous friends, newfound daughter, and the ups and downs of his life as an artist. Great stories, hilarious pranks, perfect narration. Give this a listen then dive into the Sabbath albums. Four billion years ago, the infant Earth was a seething cauldron of erupting volcanoes, raining meteors, and hot noxious gases, totally devoid of life. But a relatively short time later-only 100 million to 200 million years-the planet was teeming with primitive organisms.What happened? 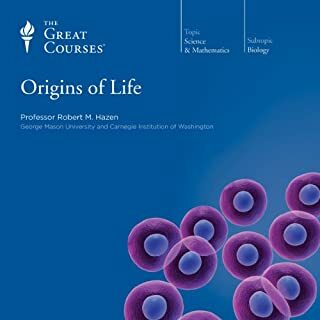 Now you can find out-in a series of 24 vibrant lectures from a leader of the NASA-supported team studying the origins of life in the universe and also one of the nation's foremost science educators. 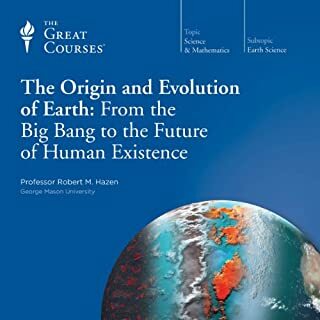 This set of lectures is a boon to the general listener and scientist alike. As an artist I use it to become inspired by the barely imaginable sweep of life's history on Earth. The images and processes conjured by Professor Hazen are unmatched in vividness and open mindedness. Highly recommended. 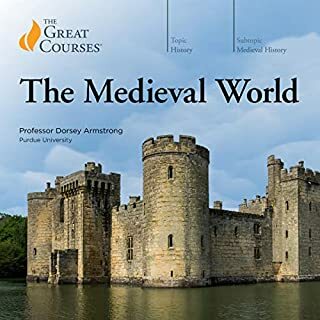 Would you try another book from The Great Courses and John McWhorter and/or Professor John McWhorter? There are many great lectures in The Great Courses. This is not one of them. Has The Story of Human Language turned you off from other books in this genre? Would you be willing to try another one of Professor John McWhorter’s performances? Disappointment. 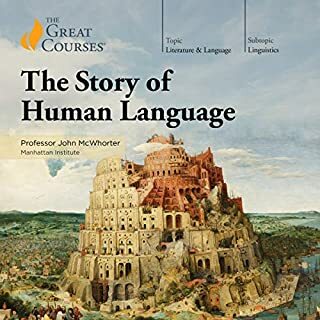 For a lecture entitled "The Story of Human Language", this feels like a collection of cute factoids and verbal ramblings by a smug professor who prefers to show off his knowledge than present an engaging through-line on the subject suggested by the title. Was Christopher Columbus's voyage to the Americas in 1492 the most important event in the history of the world? Professor Eakin's provocative answer is a resounding "Yes" - as he presents his case in an intriguing series of 24 lectures. 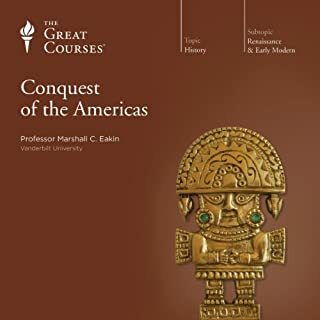 These thoughtful lectures will remind you that when Columbus completed his voyage, he found a people unlike any he had ever known, living in a land unmentioned in any of the great touchstones of Western knowledge. You'll learn how the European world, animated by the great dynamic forces of the day, Christianity and commercial capitalism, reacted to Columbus's discovery. Very absorbing, impassioned, logical, and a great voice. The professor brings across to us a real sense of the people and worlds he's recounting. This series of lectures feels patronizing and dull. 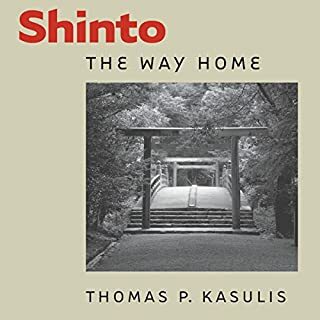 The narration has an unnerving quality, and feels lifeless, as if read directly from notes instead of spoken to a real listener.